The Alamosa Rotary Club is pleased to announce that three local law enforcement leaders will speak at our meeting on Monday September 18 at noon at Jaunito’s Restaurant, 1019 6th Street in Alamosa. City of Alamosa Chief of Police Duane Oakes Will be joined by Daniel Northrup, Campus Resource Officer for Trinidad State Junior College and Andrew MacPherson, Chief of Police at Adams State University. Take this opportunity to hear from our leaders in law enforcement in Alamosa. All are welcome to attend. To find out more about Rotary International visit www.rotary.org. For more information about the Alamosa Rotary Club visit our Facebook page or call Club President Dean Swift at 719-588-2357. The club meets Mondays at noon at Juanito’s in Alamosa. 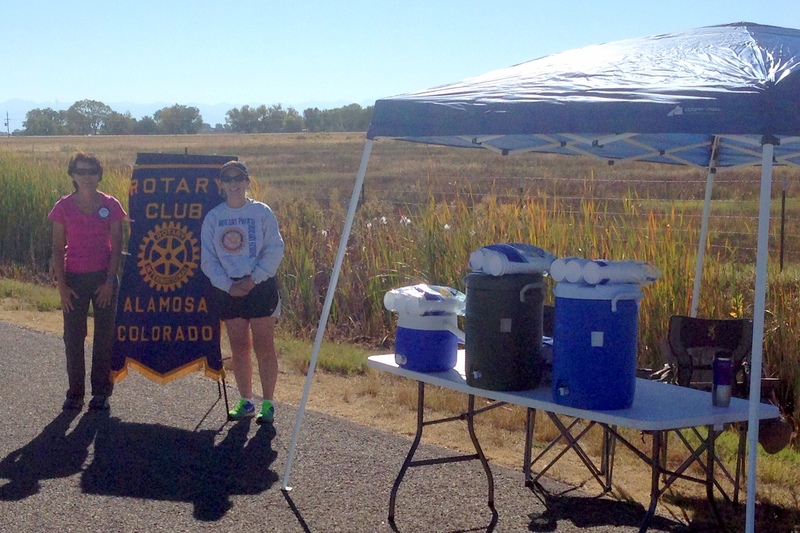 Rotarians manned a water booth during the 12th annual Stephanie L. Miner Walk, put on by San Luis Valley Health. 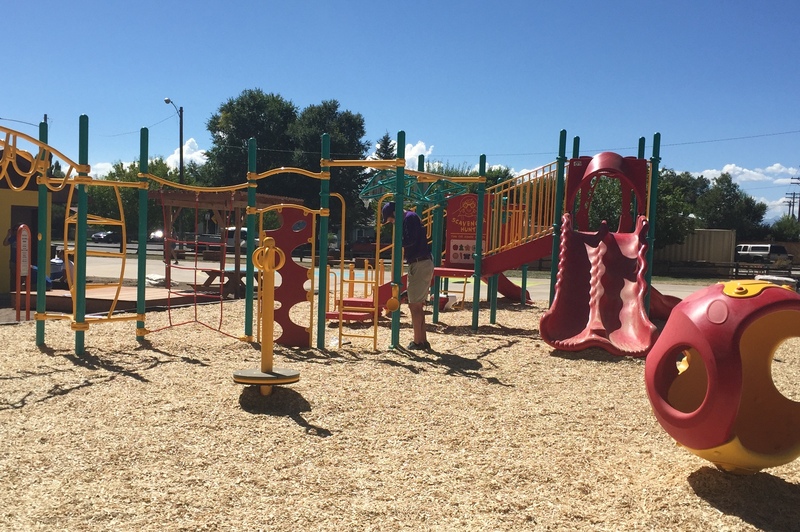 On Saturday, September 12, the Alamosa Rotary Club joined over 260 volunteers to build a playground for the families of Alamosa. Rotary joined the City of Alamosa, La Puente, and the Colorado Health Foundation to fund the project. 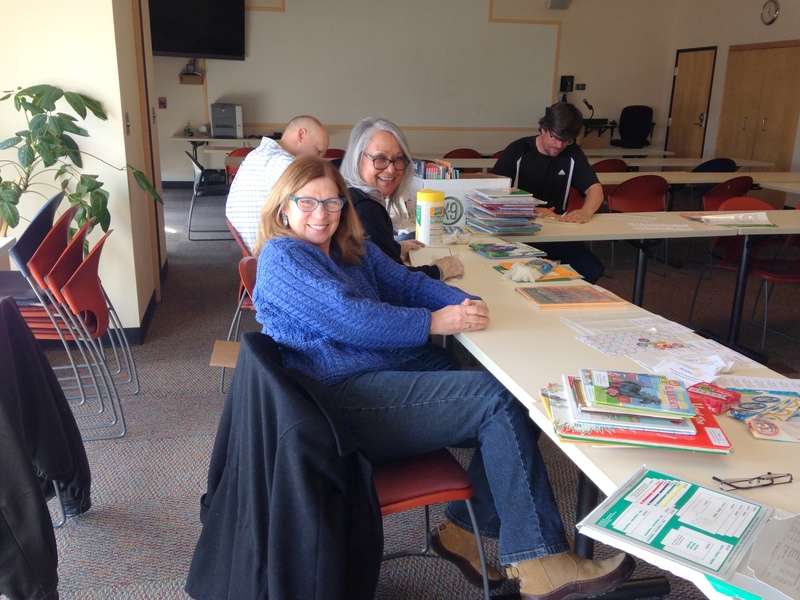 Alamosa Rotary Club partnered with the Alamosa Friends of the Library in mid-February to select gently used children’s books from Spines, the Friend’s book store.